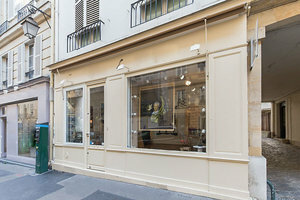 This lovely gallery space is in the fashionable 6th arrondissement of Paris, blocks away from the Luxembourg Gardens. It is a perfect option for a Pop-Up Store, Private Sale or Art Opening. The frontage here is tasteful with two large window displays and a nice light colored framing. The interior is beautifully set up with wood parquet floors, white walls and ceilings, and display track lighting ideal for displaying art as well as product. Amenities here include furniture, internet, a kitchen and bathroom. 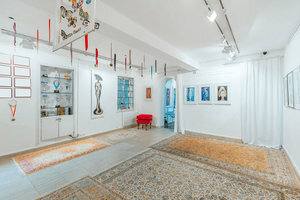 Located in a very popular area of Paris and surrounded by several retailers and other cultural activities, this space is a great opportunity to connect with customers via a curated pop-up event.